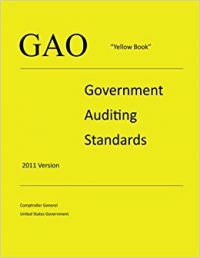 On April 5, 2017, the GAO released a 2017 exposure draft for a revised Yellow Book (a.k.a., Government Auditing Standards). The document is available at www.gao.gov and it carries a comment deadline of July 6, 2017. The revised Yellow Book will replace the 2011 version when issued in its final form. and an expansion of the auditor’s responsibilities related to waste in a financial audit. Interested in learning more? Attend one of these webinars for the Complete Guide to the Yellow Book.